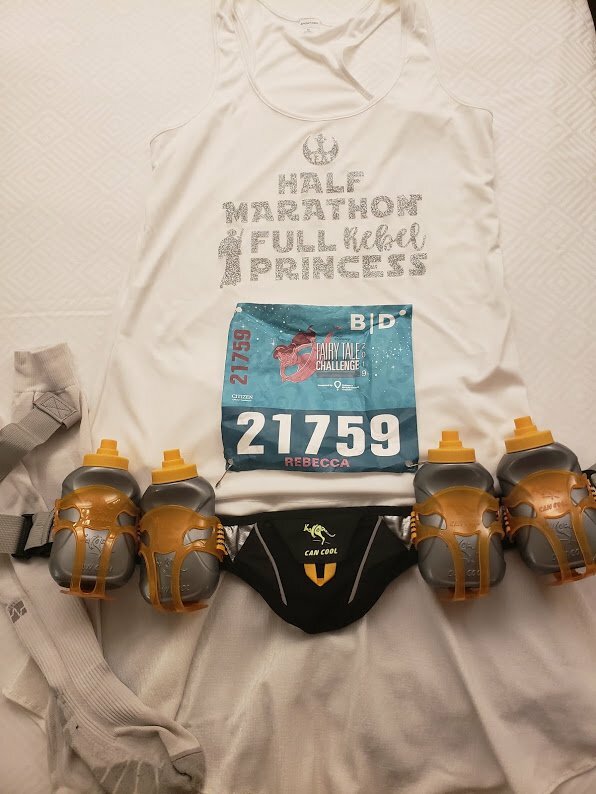 Everyone else is gearing up for the Star Wars races coming next weekend, but I’m over here still thinking about the Princess half marathon! I never got around to writing my recap from next month, so now I’m going to share it (like it or not). 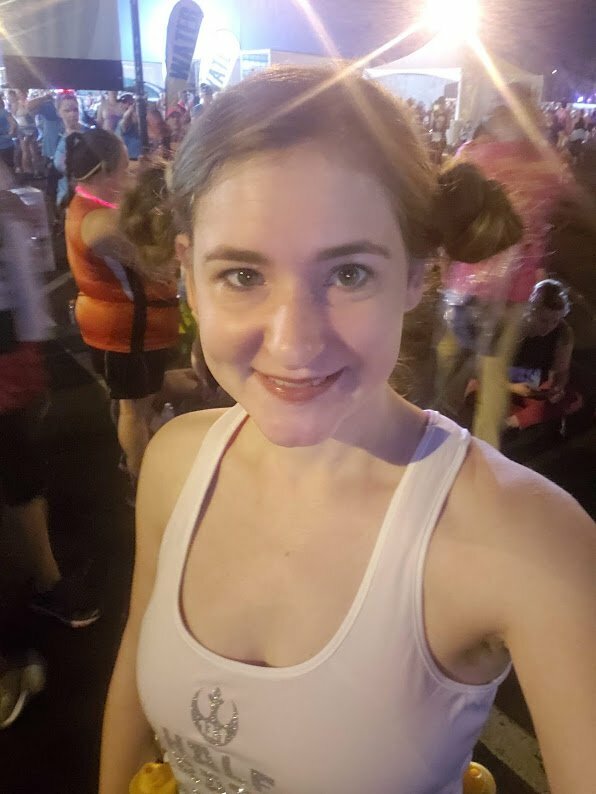 This was my 5th year in a row running the Princess half marathon, and my 6th year doing the Princess half marathon weekend (I did just the Enchanted 10k in 2014). Running has become a HUGE part of my life, but that’s been even more true this past year. 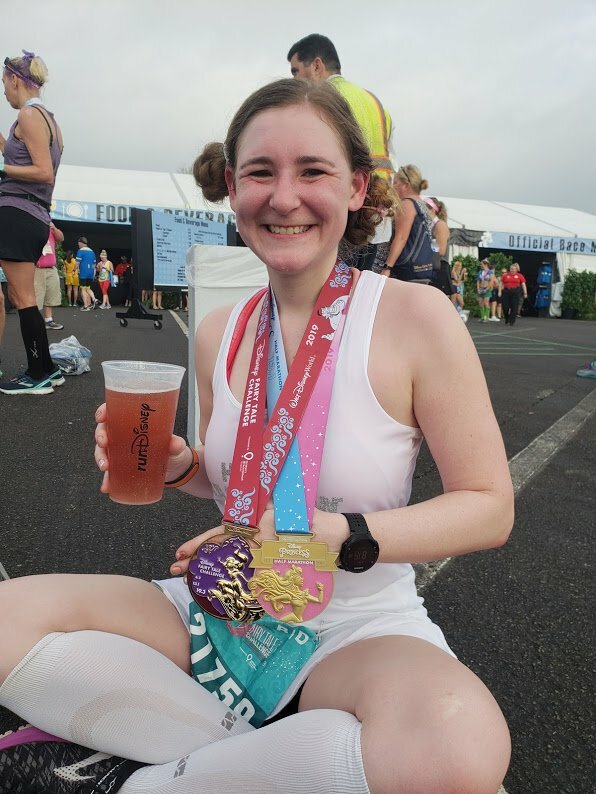 I joined two local running groups where I’ve made amazing friends who have helped me improve my running and have supported me (shoutout to Phoenixville Beer Runners!). I forced myself to run outside through the entire winter since I had these groups rather than retreating to the treadmill. I pushed myself more than I had before. I found a great physical therapist who specialized in running. And I think it all paid off! 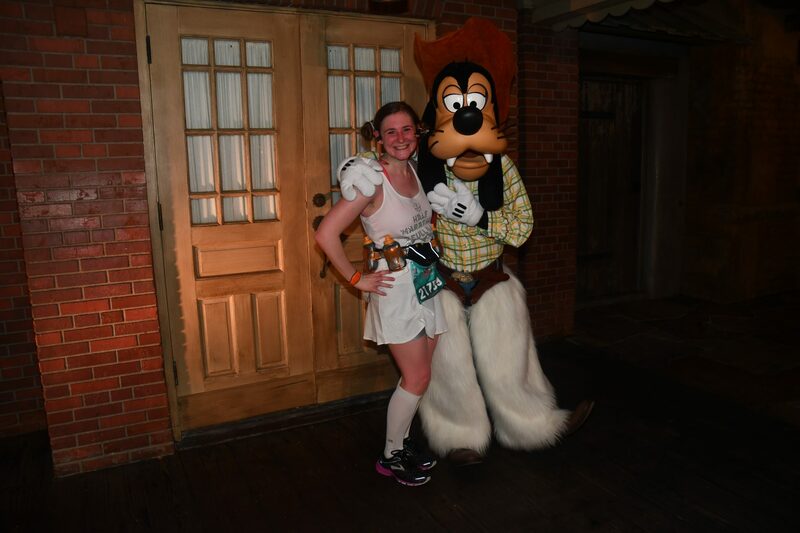 Pretty much the only time I will ever wake up at 2:45am is when it involves Disney, and that’s the case with the races. They try to be mostly done by the time the parks open, which means the races start at 5:30am. Yay! I got up and put on my costume – I went with Princess Leia this time. She is a princess after all, and I was traveling with a big Star Wars fan so it seemed appropriate! It took me awhile to do my hair in a way that I hoped would stay. I then took the bus from Coronado Springs to Epcot, where the race started. I headed right for my corral, D, as soon as they opened. It’s a long walk from the drop off area to where you actually start the race, so be prepared for that. I hung out for awhile waiting to start. It was warm this morning, so I didn’t mind sitting around (though I knew it would get HOT when running). Corral D started right around 5:40am. I started off strong. Too strong, I thought, since I was well below a 10 minute mile for the first 3-4 miles. I knew I couldn’t sustain that but figured I might as well keep going while I could. I guessed I’d lose time for character stops later anyway. Still, I found myself unwilling to stop for characters. But it was such a conundrum! 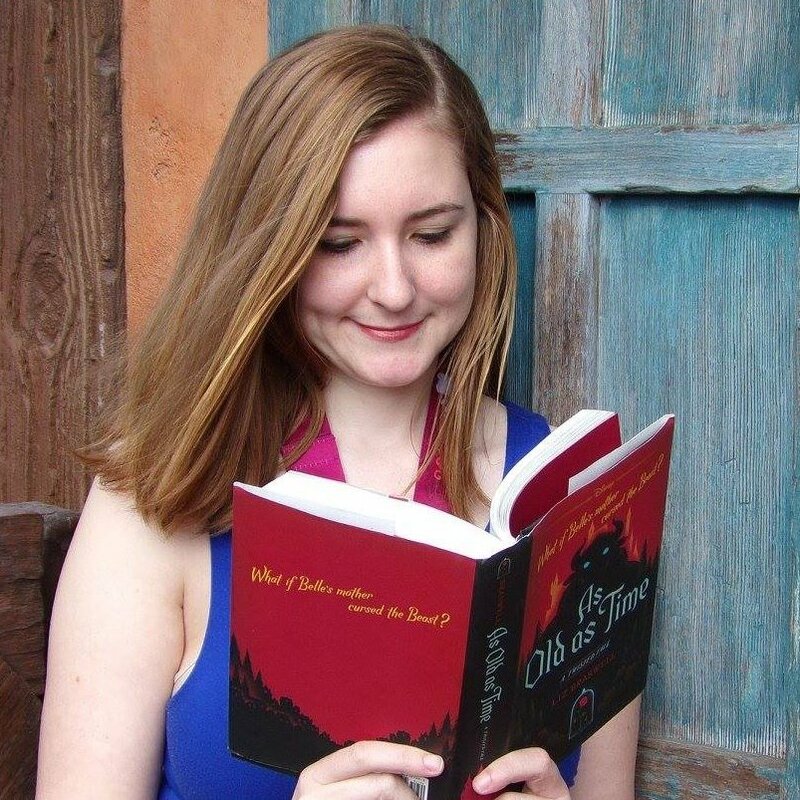 Is it really a Disney race if you don’t have a character photo?! I hit Frontierland, and saw Cowboy Goofy with two people waiting. The picture wouldn’t take long – I decided to go for it. I moved on and out of Magic Kingdom. I hit the 10k mark and while my watch said I was at about a 10:10 pace, the text from Disney said I was at 10:30. My heart sank. No way I would PR if I was already at a 10:30. I kept going but thought I might slow down a little, or stop for more photos. But then a few minutes later I remembered something – my split time at the 10k mark has been REALLY off last year. Was it possible Disney’s clock was wrong at the 10k point? I kept pushing myself. When I hit the 15k point Disney’s texts were telling me a 10:16 pace. I am SO GLAD I remembered the 10k issue from last year and didn’t give up. It was getting really tough now though. The sun was up and shining brightly and I felt myself heating up, making running much more difficult. Right around mile 10 they were handing out cold washcloths, and that was a HUGE relief. Cooling down even the tiniest amount helped me so much. I headed up the “hill” where the green army man is urging you on. Due to all of my outdoor training in hilly Pennsylvania this year, that hill didn’t feel like much of an incline at all! Once I was at mile 11 I knew I should have the PR and it felt unreal. 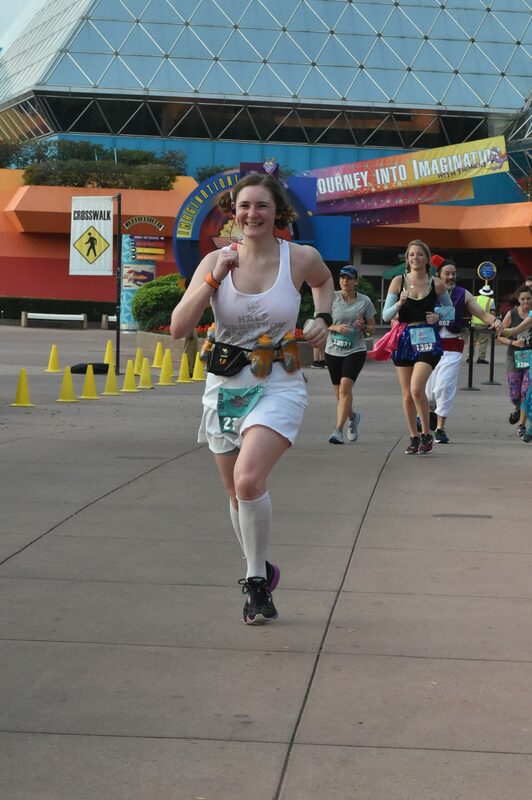 I entered Epcot around mile 12. I thought briefly I could perhaps make it under 2:15. That didn’t turn out to be the case, but I pushed through hard to the finish line, where my friend was waiting for me. I had completed the Princess Half Marathon in 2:16:13, with a 10:24 min/mile pace. 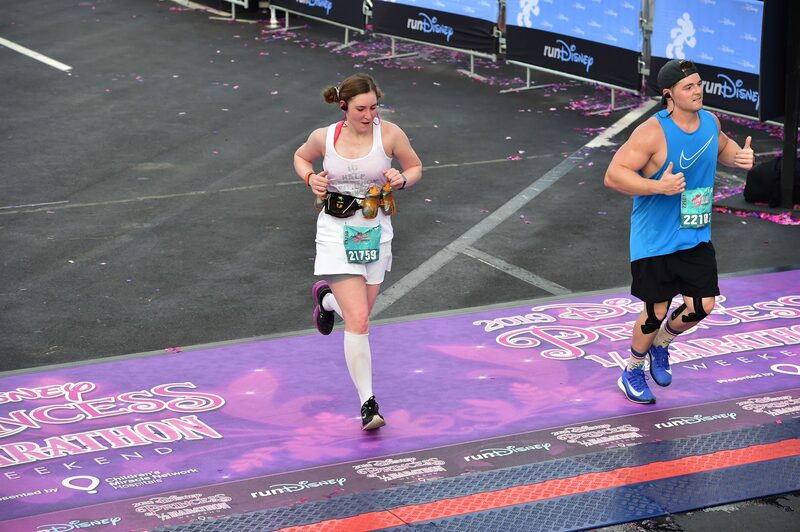 I didn’t expect to get a PR anytime soon after my injury in December, much less at Disney. I got my medals, found my companion, and started to cry. I may have had tears of sadness and anxiety earlier in that trip, but these were tears of happiness. 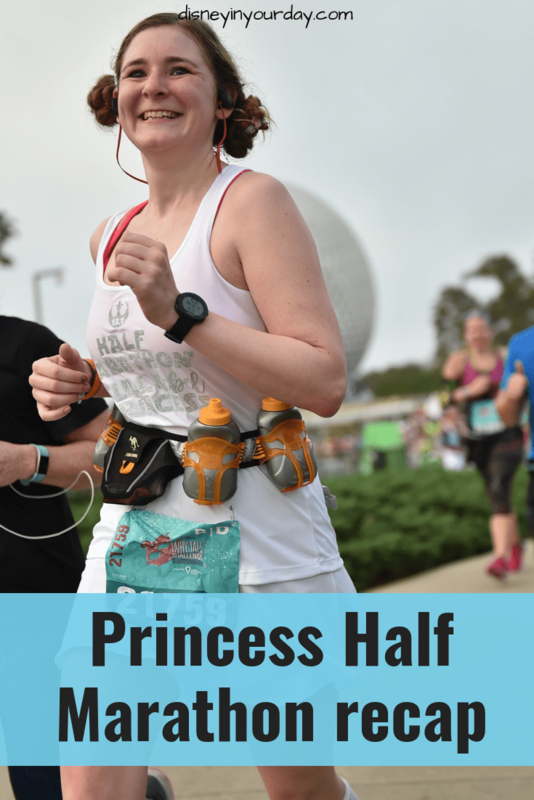 Have you ever done the Princess Half Marathon?